McBeth left hints of his sponsor change if you knew where to look. 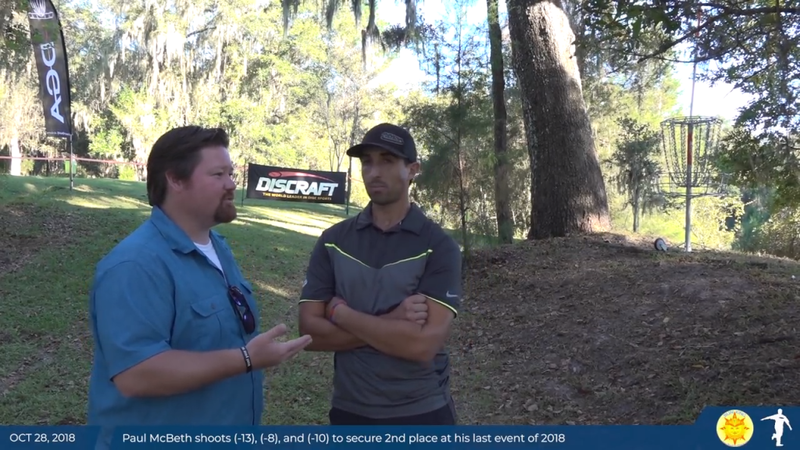 Rumors began circulating that Paul McBeth would be flipping sponsors from Innova to Discraft as soon as the 2018 season began winding down. And even though at first it seemed outlandish, where there’s a lot of smoke, you’ll likely find fire. While McBeth may not have said anything outright to the public about joining Discraft during this time, he wasn’t shy in leaving his own breadcrumbs around the internet. On a trip to Walt Disney World, McBeth posts a picture of the March of the First Order featuring Stormtroopers from Star Wars. Know what Stormtroopers are known to occupy? Star Destroyers. Maybe McBeth isn’t moving away from Innova. But also, there is the Force in the same universe. 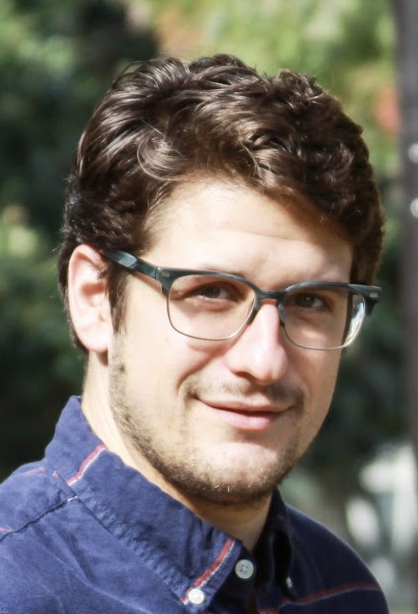 Or maybe it’s just a good pic for a guy that likes Star Wars. On the same trip to Disney, McBeth posts pic with Buzz Lightyear as the focal point. Buzzz Lightyear. McBeth comments on Discraft Underground team member Nicholas Carl’s In The Bag video on Facebook. Are McBeth and Carl friends? Sure. Was the video pretty good? Sure. Is Carl using a bag of McBeth’s that could elicit a simple reaction? Sure. But all this also had commenters deciding that maybe Carl was actually showing off McBeth’s potential Discraft lineup. Innova Champion announces the company and McBeth would be parting ways. 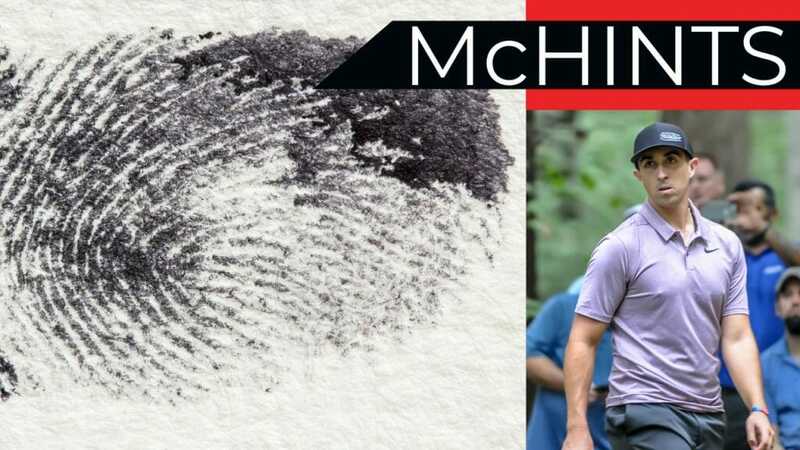 On his property in Virginia, McBeth has been talking about installing a disc golf course basically since moving in. He teased a basket in place as he drove around in an ATV. Red band. Know what baskets have red bands? Chainstar Pros. 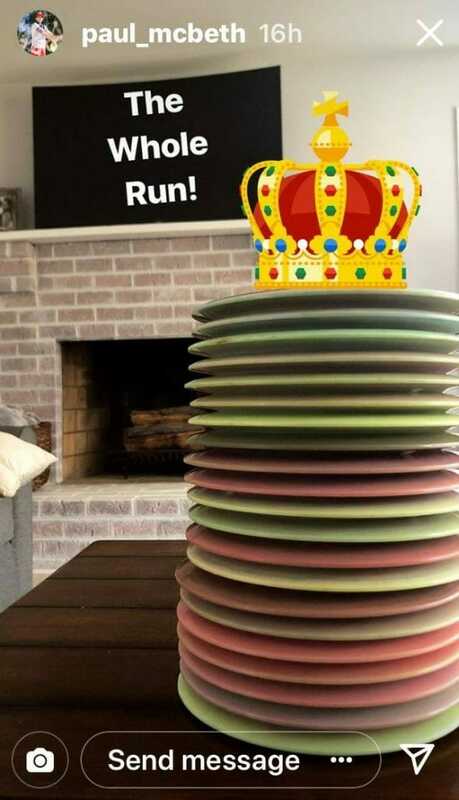 McBeth posts a stack of discs to his Instagram story that looked a lot like the newer swirled ESP plastic from Discraft. Rumors had also been swirling that new discs would be coming with McBeth’s arrival which gave credence to the “whole run” caption. Others thought it was just the last of the Innova Star Destroyer run that McBeth was said to have bought out. 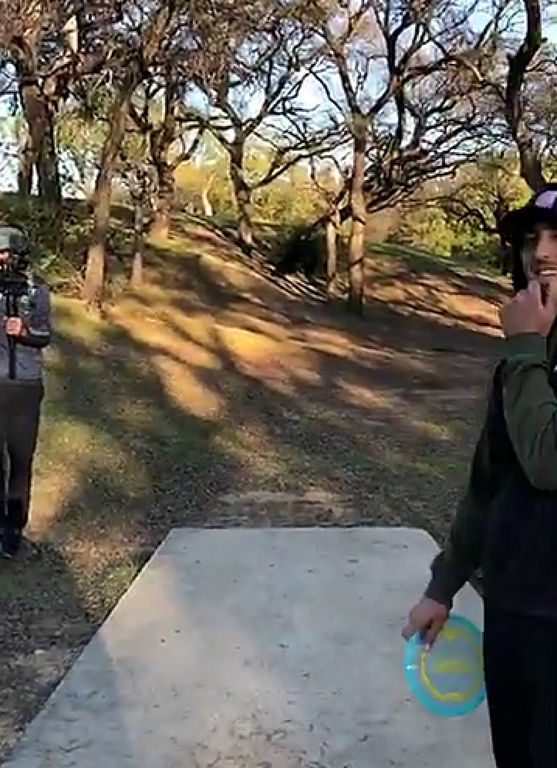 While down in Texas shooting some trick shot videos with Simon Lizotte and Brodie Smith, McBeth tipped his hat twice in Instagram stories from Lizotte and Smith. First, McBeth can be seen tossing a disc in Smith’s story. What’s that stamp? ENHANCE. Sure looks like Discraft. 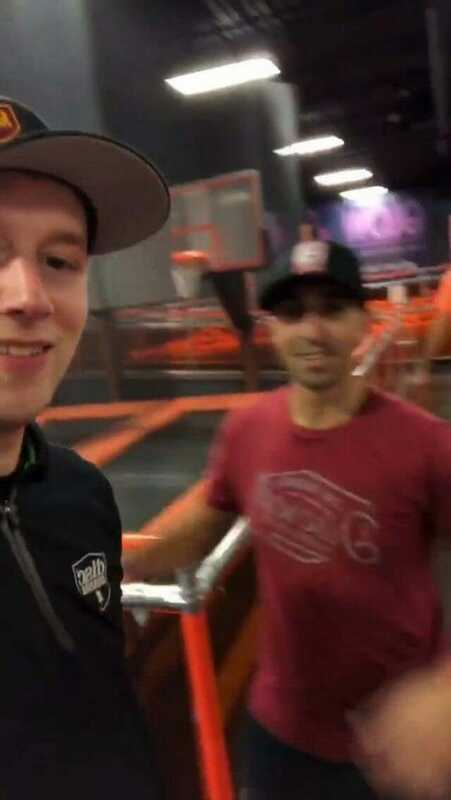 Soon after, Lizotte gave us a video selfie with McBeth. And even though it was blurry, you can still make out a pretty distinct Discraft design. McBeth knows what he’s doing, and there’s probably other clues that we didn’t even catch! Let us know in the comments. Comments on "Paul McBeth Was Teasing Discraft Move For Weeks"